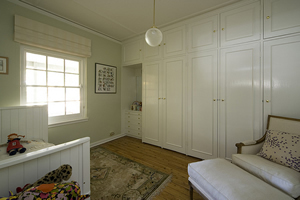 Fusion Painting is Canberra’s most trusted house painting and wallpapering company. We are a multi-award winning small business with a commitment to providing high quality painting and decorating services to our clients. We only employ qualified tradespeople who share our vision for quality and professionalism. Fusion Painting specialises in interior and exterior house painting. We aim to attract clients who are looking for quality workmanship from a small team of professional painters dedicated to customer service and integrity. As a long standing Canberra painter, Fusion Painting is known for transforming homes through the use of innovative preparation techniques combined with Dulux high quality paints to achieve stunning finishes. You receive a free hour with our interior designer to help choose your colours. We will provide a complimentary inspection of our work 12 months down the track. We are fully insured and our staff are all qualified, full time employees. We offer a five year written warranty on our services. We are Dulux Accredited and a member of the Master Painter’s Association (MPA) and the Master Builders’ Association (MBA). We regularly attend functions and business seminars conducted by industry to keep abreast of trends, changes in regulations and to network with other small businesses and experts.